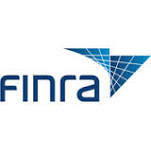 The Financial Industry Regulatory Authority – FINRA – ended the year by warning stockbrokers to tread lightly when recommending their customers rollover monies from an employer 401(k) plan to an IRA. Beginning in 2014, regulators will start scrutinizing these transactions. Stockbrokers make money from commissions. Money sitting in a client’s employer sponsored retirement plan doesn’t do anything for brokers. To make money, they must convince their clients to rollover their retirement plan holdings into an Individual Retirement Account or IRA. Of course, rolling over money for the sake of a quick commission is never in the client’s best interest. According to FINRA Regulatory Notice 13-45, customers are often quite confused about retirement savings options. With saving for retirement a top financial priority for millions of Americans, many investors turn to their stockbroker for advice. IRAs make up 28% of all U.S. retirement assets or $5.4 trillion. And what is the biggest source of IRA contributions? Rollovers from employer sponsored plans such as 401(k) plans. * rollover the proceeds into an IRA. The latter triggers FINRA’s jurisdiction. The regulatory notice says “any recommendation to sell, purchase or hold securities must be suitable for the customer and the information that investors receive must be fair, balanced and not misleading.” That means telling a client to not make any changes if a broker feels the client is better off keeping his or her money in the employer plan. The decision to rollover or keep money in an employer plan can be quite complex. Unfortunately, many brokers don’t understand the tax consequences and all the financial nuances that go along with such a decision. For example, employer plans are generally protected from claims of creditors while IRA plans vary state by state. A person planning on working in their 70’s isn’t required to take mandatory withdrawals from an employer plan but they are from IRAs. Another difference is the ability to make penalty free withdrawals. From an employer plan, the usual age is 55. That age increases to 59 1/2 years with IRAs, however. Is there really a problem with brokers giving bad financial advice on IRA rollovers? Absolutely! There is an inherent financial conflict of interest in providing advice to clients with IRA rollover questions. If the customer’s money remains parked in an employer plan, the stockbroker doesn’t earn a commission. Although the increased scrutiny of stockbrokers doesn’t begin until 2014, brokers are already legally responsible if they provide bad or unsuitable advice. or by telephone at (414) 704-6731 (direct). All inquiries answered within 24 hours and are protected by the attorney – client privilege. Cases accepted in many jurisdictions and can be handled on a contingent fee basis meaning no legal fees unless we collect money for you.